We can do a lot of different things with our smartphones, but one of the most common is chatting with friends. You can make video calls or just text message. Today’s messaging apps can support various features: text messaging, video calling, photo & video sharing. Some of the most popular messaging apps are WhatsApp, Viber, WeChat and Telegram. While chatting, you may want to share large video or photo files. Each messenger has its own limits on the size of files to be uploaded. So the main question is how big a file do you want to send using a messenger? Today we want to talk about Telegram. It has become very popular both among individual users and business owners. Telegram supports file sharing so you can easily send a bunch of photos and videos to your friends. Telegram supports secure file transfer, so you can share your documents while chatting. Using Telegram, you can securely share large files up to 1.5GB in size for free. How does Telegram support security features? First, it offers end-to-end encryption. Then there is the option of a ‘Secret Chat’: all messages in this chat are destroyed when the conversation ends. Keep in mind that Telegram Messenger is an open source project, which means the source code is available to everyone absolutely for free. You can use Telegram Messenger on your smartphone and your computer: desktop or laptop. 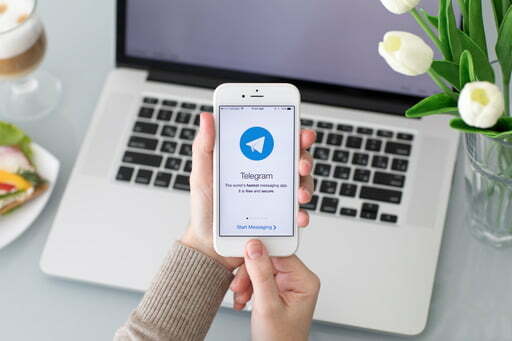 Telegram is a very useful app for sharing any type of files, and it makes it easy to share the files you receive from other users. All you need to do is open the file you receive in Telegram and tap the Share button, then choose how you want to share the file: send by email or via another app. If you are an Android user, you will see the “Share” option in the context menu of your file. It’s very convenient when you need to share large files with friends or co-workers. If you are an iOS user, you can use the Share menu while viewing any document on your iOS device. Don’t have Telegram Messenger yet? Download it for Android or iOS. You can use Telegram to send large files up to 1.5GB in size, which is great because most email providers have limits on attachment size. It is usually about 25MB, and depends on the email provider. But what do you do if you need to send a huge file, like 50GB in size or even larger? You will need to use one of the free or paid file sharing services. These services differ in features and options, so take your time and choose one that works for your needs. File sharing services help you share any type of files: photo, video, audio, zip files. Keep in mind though that using a file sharing service may require a computer. If you don’t want to waste your time on choosing the best service, we recommend using FileWhopper. This service doesn’t have any size limits, you can share files up to 1TB (yes, one terabyte) in size. No need to buy a monthly subscription plan, just pay a fee based on file size: very easy and convenient if you want to send a large file to your friend right now. An even cooler feature in Telegram Messenger is that you can mute notifications and use multisearch. You can temporarily mute all notifications from any contacts or groups. With multisearch, you will get search results from everywhere within your account: contacts, chats or groups. 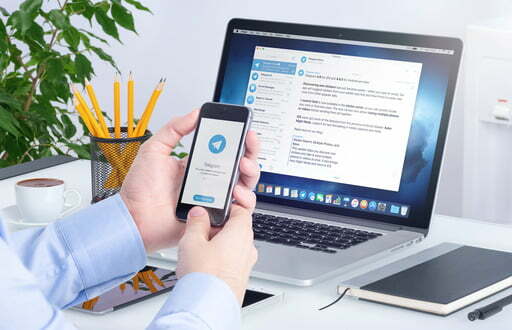 So, if you are looking for a secure messaging app with file sharing options that you can use on any device, we recommend looking at Telegram. If you want to share your ideas, leave your comments below or chat with us on Facebook or Twitter.